If your tot is in the crawling and cruising stage, push toys are perfect for playtime. 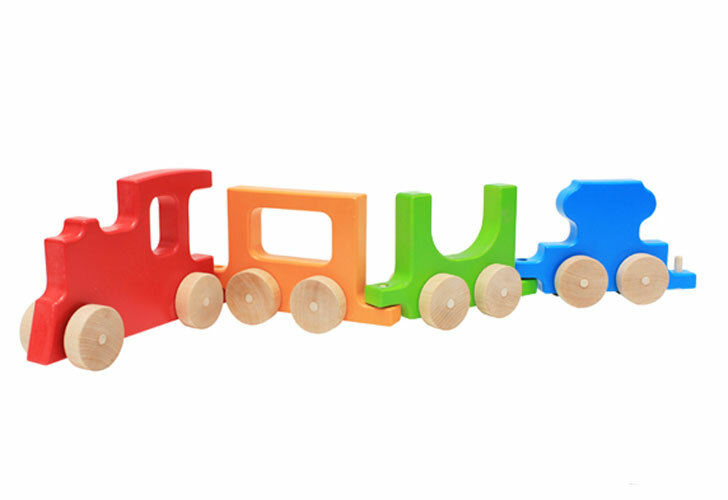 Manny & Simon recently added this four-car train to their already amazing array of sustainably made wooden rolling toys. Their collection of push toys is made from 100% post-industrial recycled wood residuals and painted with non-toxic, zero-VOC paint. This colorful toy is sure to keep your tot moving and groovin. Choo choo!